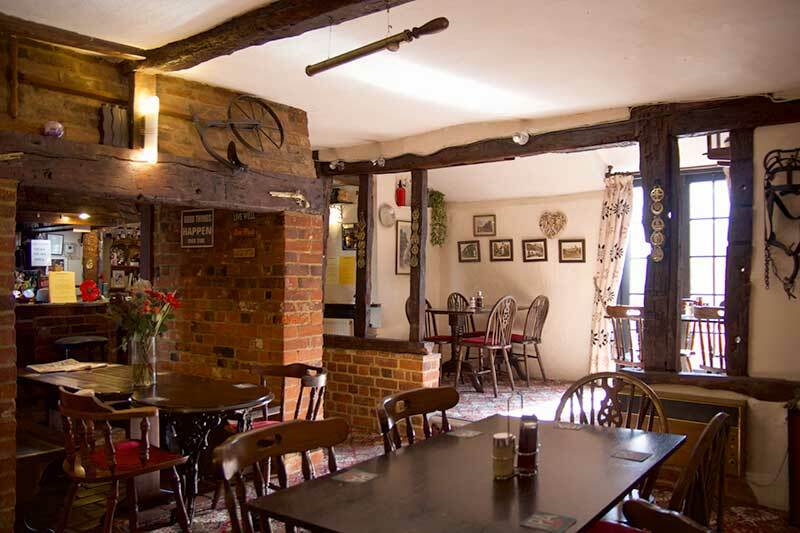 Looking for a traditional country pub near Thaxted or Stansted Airport? Then look no further! 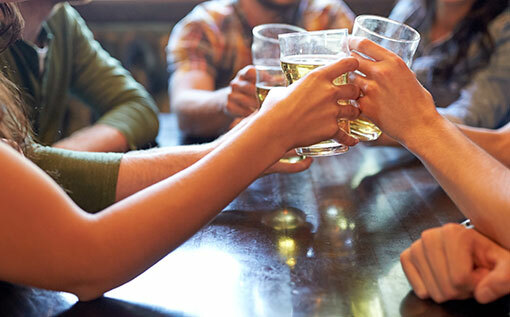 The Farmhouse Inn is consistently included in CAMRA's Good Pub Guide and offers an intimate bar and seating area where fine beers (including cask and guest ales) are served alongside a range of wines, spirits, soft drinks, teas and coffees. 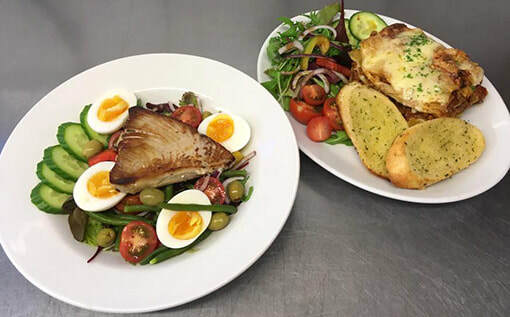 Our range of bar meals has gained an enviable local reputation, with old favourites and new creations made using carefully-sourced local ingredients wherever possible. Bar meals can be served at your table, on the patio or in the garden. This week's guest ales are Explorer and Nautic Ale, both from Malden's Mighty Oak Brewery. We are located amid beautiful countryside, perfect for walking and cycling. Nearby towns and villages, e.g. 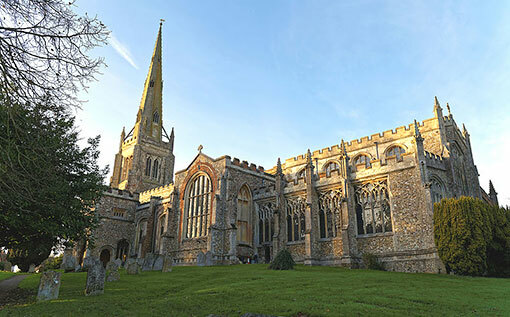 Thaxted, contain many historic features and architecture alongside modern facilities and independent shops. We organise various special events throughout the year including quiz nights, live music and themed food evenings such as our famous Fish Buffets. There's always something going on at The Farmhouse to brighten your week! Browse our sample Bar Menu for a taste of what to expect when you dine with us. Both our restaurant and bar menus change according to seasonal availability so please get in touch to find out the exact dishes on offer. "Just what we were looking for. 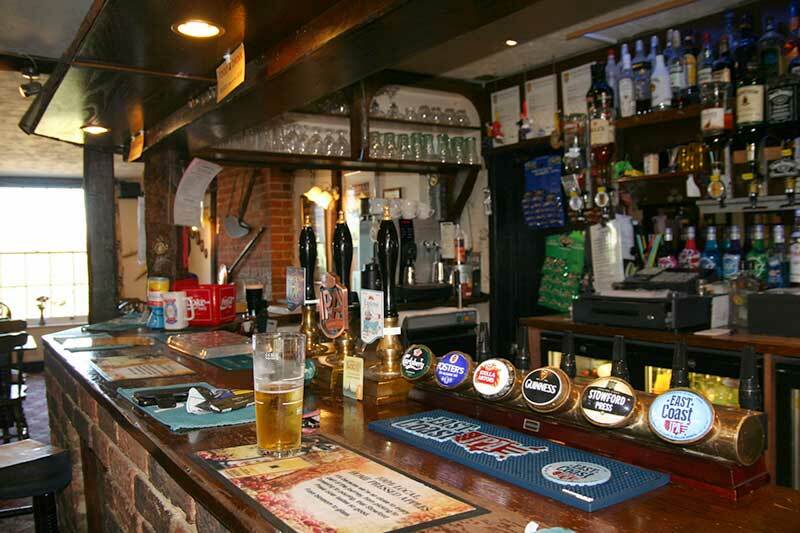 Nice food, good beer, relaxing pub, great service and only 15 minutes from Stansted airport!" "Location and amenities ideal for my work appointment. Cosy bar with a great menu and a nice hot shower. Highly recommended!" "Clean, well equipped rooms. Staff very helpful and friendly. Very pleasant restaurant. Best full English breakfast we have had for ages. Will definitely stay here again!" "We booked in to this Inn after an awful night at a nearby Travelodge. The Inn was lovely: very quiet and very attentive staff. We would definitely book again if in the area." "A great place to stay. The staff were very friendly, rooms were clean and tidy and food in the bar and restaurant was very good. Will definitely stay again when working in area."